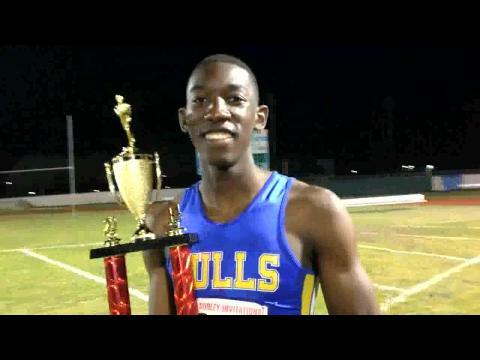 State leading times in almost every event, new national leaders, and that was just the tip of the iceberg at the Sam Burley Hall of Fame Invitational. 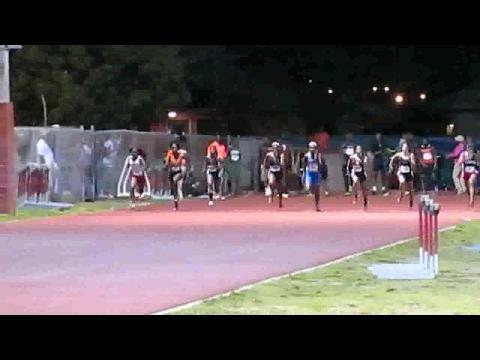 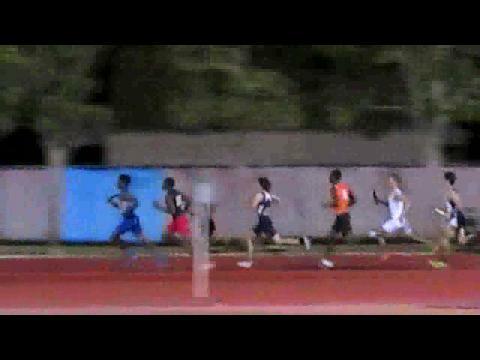 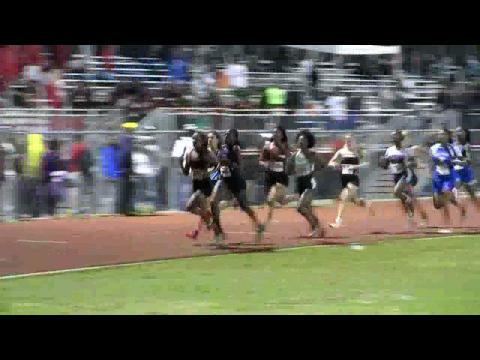 The best runners in the state were at Southridge High School and posted 170 national elite times in one weekend! 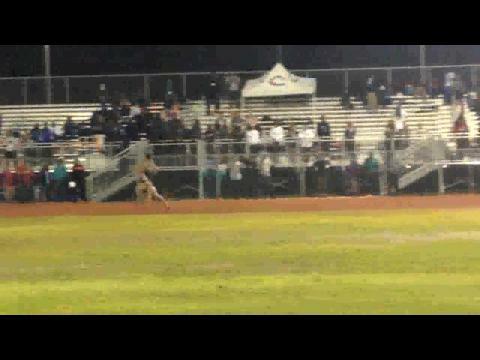 Teri Bernhardt-Rodriguez and Brad Raposo have all the coverage. 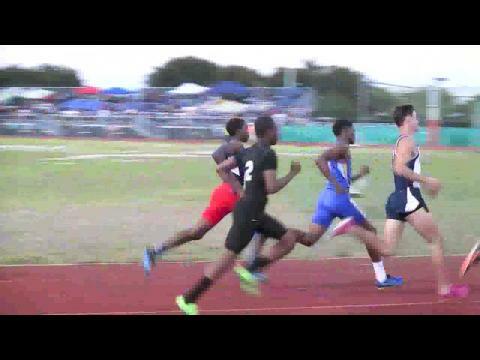 Special thank you to Austin Monroe for his awesome photos as well as Virginia Walcott for the cover photo and helping with interviews! 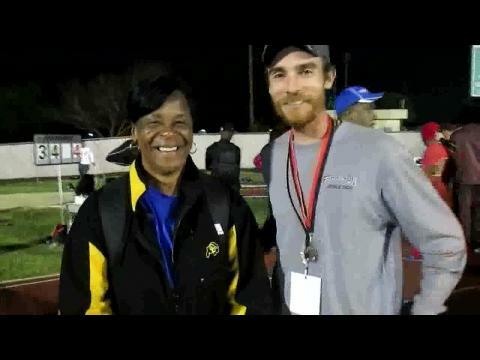 Head Coaches Carmen Jackson (Northwestern) and Ryan Raposo (Ferguson) Interview at the Sam Burley Invitational. 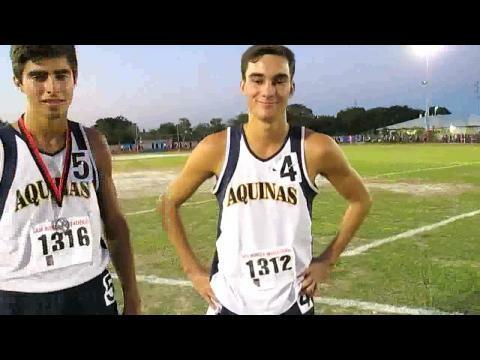 Part of the 4x800m Relay winning team (Barrow, Butler, Darosa, Statham) and Boys 800m Winner Matthew Butler from St. Thomas Aquinas at the Sam Burley Invitational. 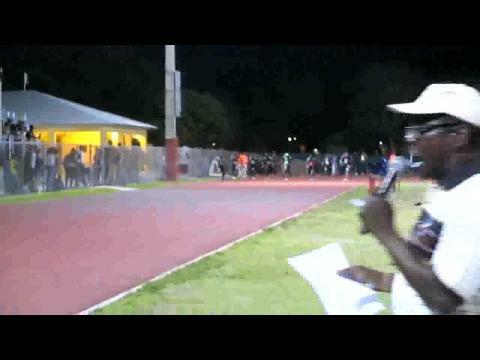 Northeast's Daeshon & Deron Gordon Interview. 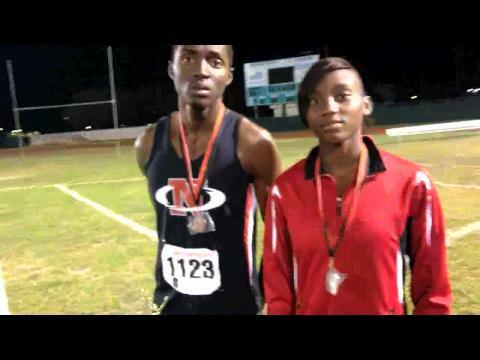 The brother and sister both won their respective events in the 110m hurdles and 300m hurdles. 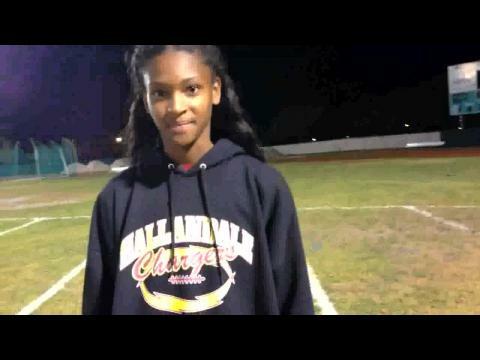 Daeshon even posted a faster time than her brother in the 110m hurdles, while Deron set the fastest time for the 300m hurdles at the Sam Burley HOF Invitational. 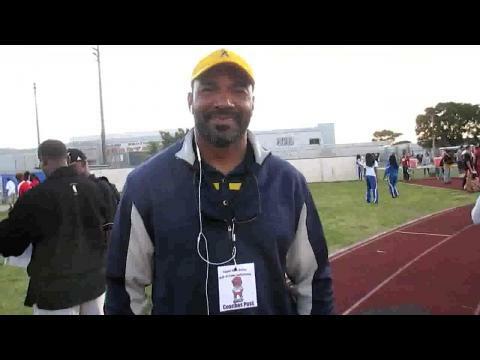 Head Coach of St. Thomas Aquinas Alex Armenteros Interview on the first day of the Sam Burley Invitational. 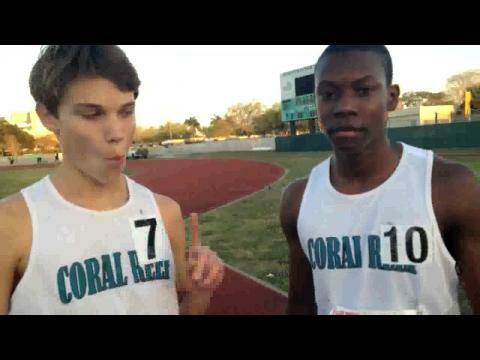 Coral Reef's Kurt Convey & Carlin Berryhill Interview at the Sam Burley Invitational. 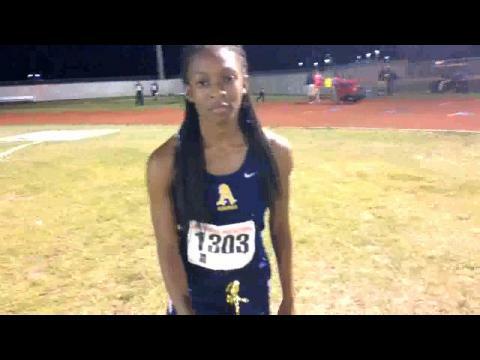 One of the 4x200m Relay Winners Diamond Spaulding of St. Thomas Aquinas HS. 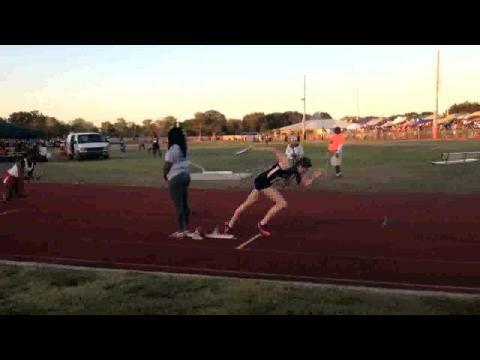 She placed in 2nd behind fellow St. Thomas runner, Sparling, Krystal, in the 200m. 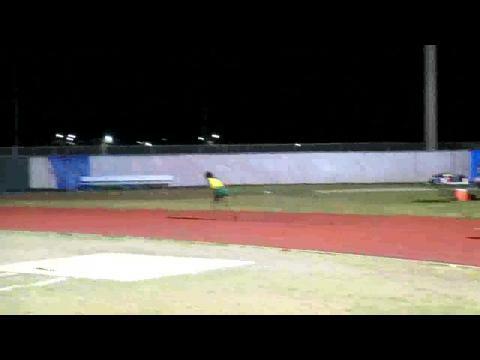 She came in 3rd in the 100m dash finals. 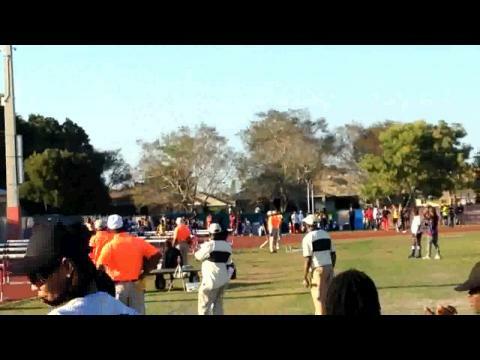 Girls Long Jump & Triple Jump Winner Kimani Rushing at the Sam Burley HOF Invitational. 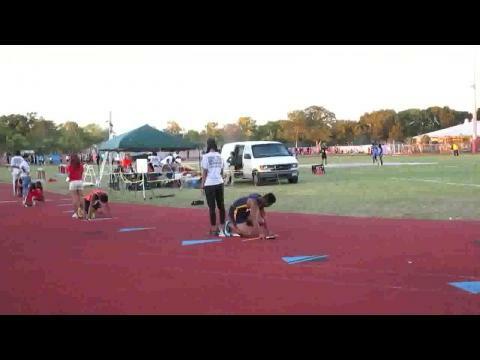 She placed 2nd in both the 110m and 300m Hurdles as only a sophomore. 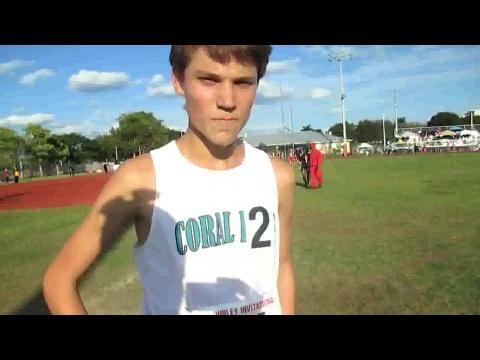 Over two dozen of the state's top teams will head to South Florida and Southridge Park in Miami host of the 2014 Sam Burley Hall of Fame Invitational. 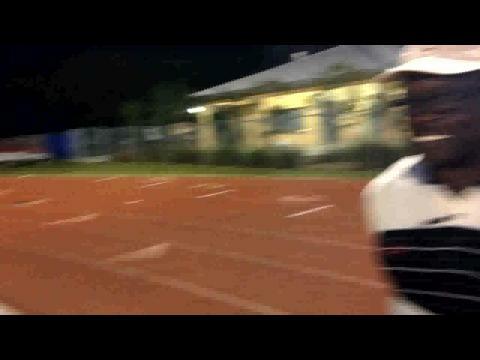 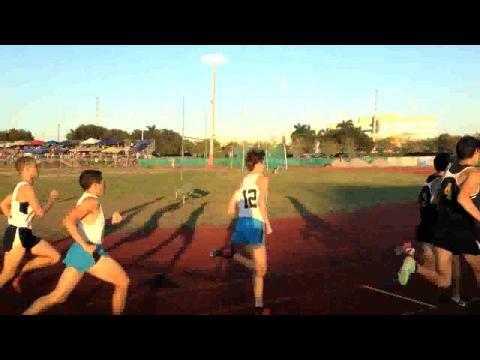 Flrunners.com will be on-site with photos, videos, results, and a complete recap of all the action! 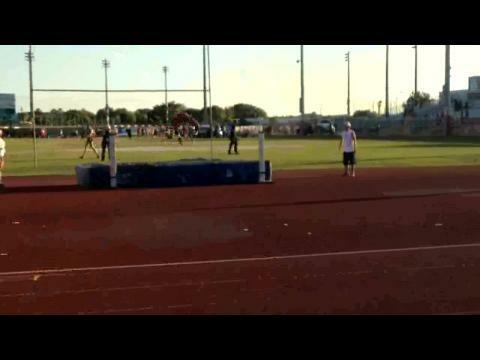 As we lead up to the big event take a look at how it would play out in a virtual meet! 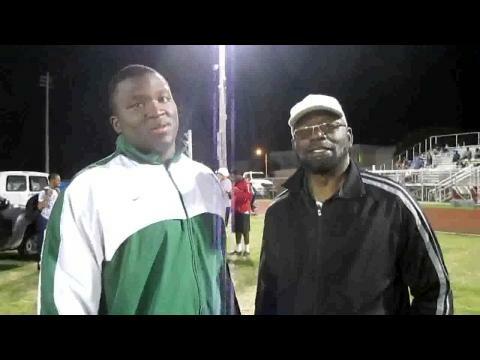 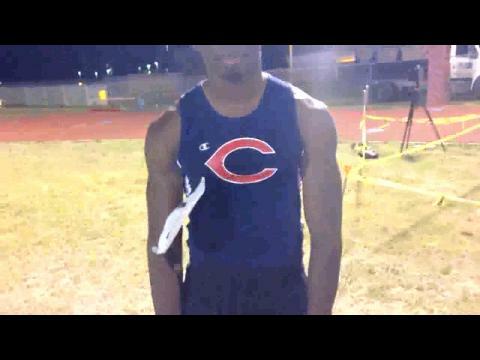 Shot Put and Discus Winner Central's Fredrick Jones Interview at the Sam Burley Invational. 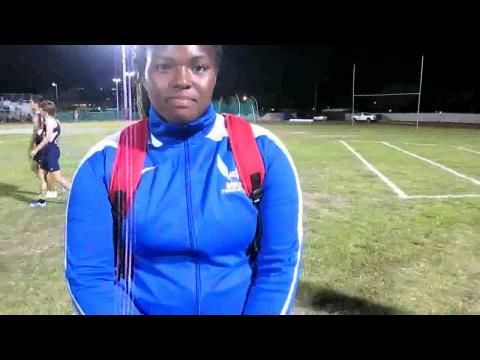 Girls 100m, 200m and 4x200m relay winner Krystal Sparling of St. Thomas Aquinas interview at the Sam Burley Invitational. 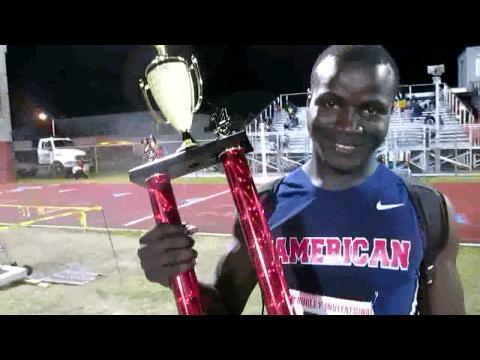 American's Wisdom Offor Triple Jump Winner at the Sam Burley HOF Invitiational. 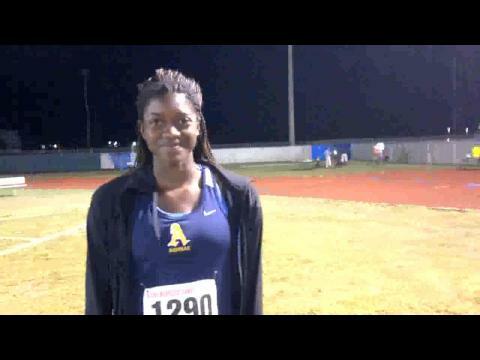 Girls 1600m Winner Emily Edwards from Ft. Myers High School interview at the Sam Burley Invitational. 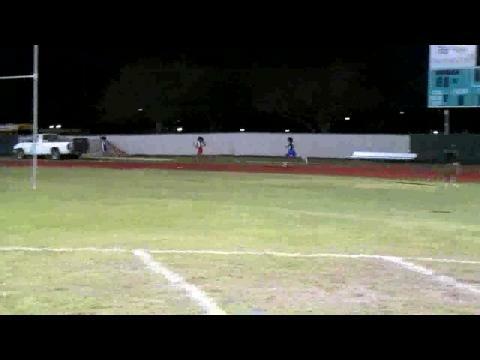 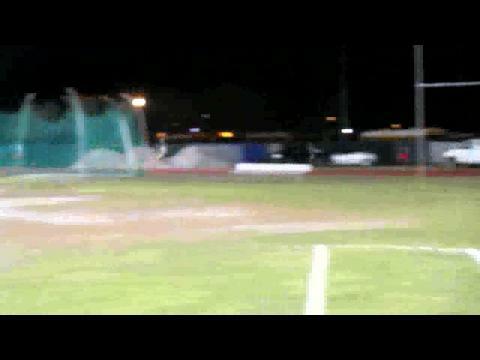 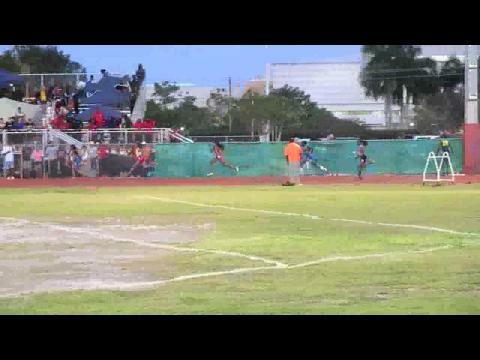 Girls 1600m Race at the Sam Burley Invitational won by Emily Edwards of Ft. Myers High. 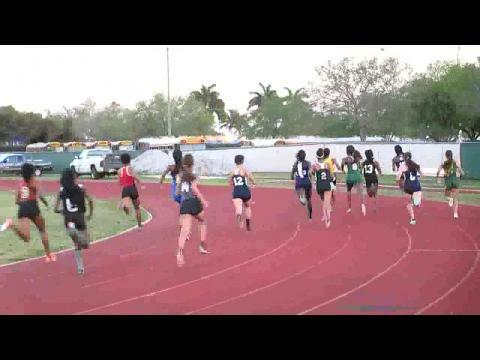 Girls 4x100m Relay at the Sam Burley Invitational. 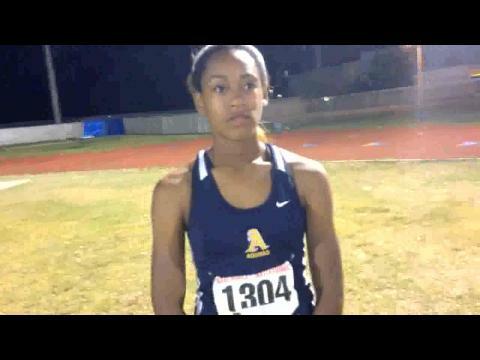 Girls 400m Winner Kendall Ellis. 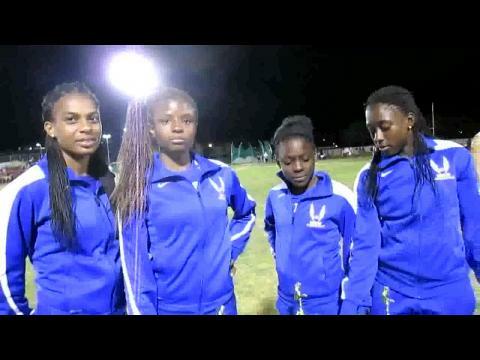 She also won in the 4x200m Relay at the Sam Burley Invitational. 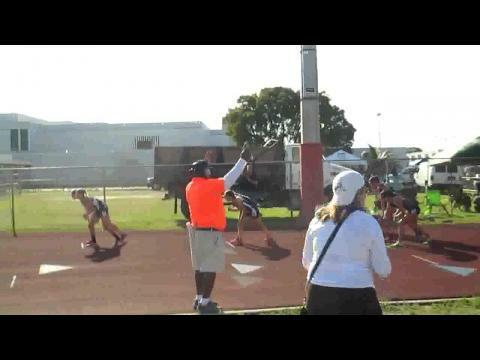 Teri Berhnardt-Rodriguez was on-site at the Sam Burley Hall of fame Invitational in Miami. 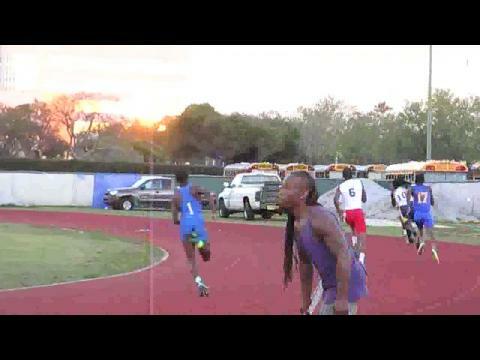 See all the pictures of the athletes and performance that were just as sizzling as the South Florida temperatures! 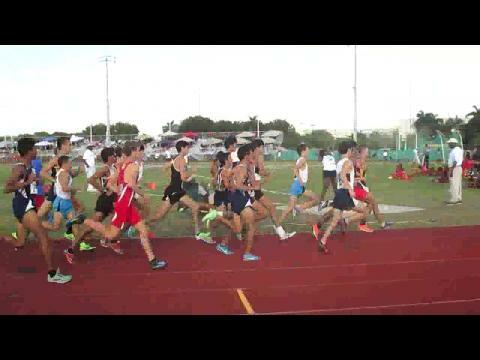 Nearly 900 photos!